Happy New Year! We say that every year - but 2006 will be a great year! Our new President, Mr. Warren McWilliams and his board will do a great job. To start the new year, we are going to have a new book on Fair Oaks and a fund raiser to boot! 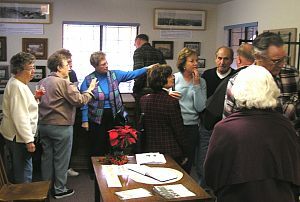 The Fair Oaks Historical Society is growing with new members. Say "Hello" to Bobbie and David Pickett and Craig and Gayle Yost just to name a few. Thank you again for the opportunity to represent the Fair Oaks Historical Society these past two years. I would like to express my best wishes and success to all of you in this new year and always. Russ greeting guests to our holiday Open House. Background picture - a sunny afternoon at the F.O. Cemetery which displays our collection. Potpourri "My First Memory of Fair Oaks"
I hope everyone had a nice holiday visiting with their families and are ready for the New Year. I would like to thank you for asking me to be your Vice-President for program again. I hope to bring more great programs to our membership this year. If you have any ideas or suggestions for programs please let me know. 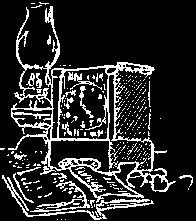 January's program will be a potpourri of "My First Memory of Fair Oaks". Members will be asked to speak for 3 minutes or less on their "First Memory of Fair Oaks". Examples: my earliest memory of growing up in Fair Oaks, my first impression of Fair Oaks when we moved here, or the earliest memory that was passed down from my family. Please call Sherry Lynn Wood at 944- 4812 to be put on the list as a speaker. We will have room for 10 to 12 speakers. I will also be contacting members if I do not have enough speakers for the meeting. 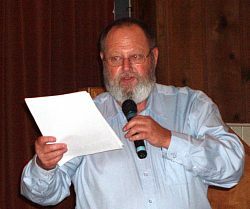 I would like to thank Ray Young, Manager of Fair Oaks Cemetery, for being our guest speaker at October's general meeting. 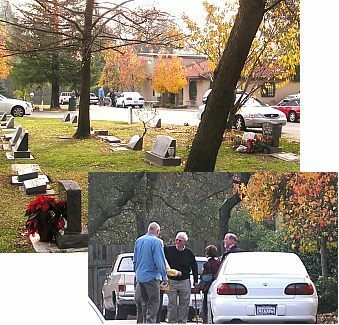 Ray spoke of the more than 100 year history of Fair Oaks' Cemetery, which was started in 1902. He mentioned the Memorial Day Celebrations and when the parade used to end at the Cemetery, the Avenue of Flags, and the expansion of the Cemetery. Ray also thanked the Fair Oaks Historical Society for their support, plus cookies and punch provided for different functions over the years. He also thanked and spoke of other community organizations that have supported the Cemetery throughout the years including the Woman's Thursday Club, the Rotary Club of Fair Oaks, the Chamber of Commerce, and Girl and Boy Scouts of America troops. Once again, members of the Fair Oaks Historical Society brought yummy food to share. We are the best potluck in town! 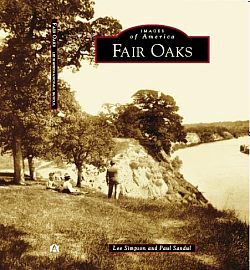 The book "Fair Oaks Images of America" by Arcadia Publishing is coming out this month. The sale of the book will be used as a fund raiser. The Fair Oaks Historical Society has ordered the books and hopes to have them available for sale at our general meeting. The book will be sold for $20 before and after the general meeting. If you would like to order copies of the book in advance please call Sherry Lynn Wood at 944-4812 and leave your name and telephone number. 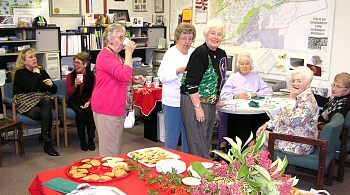 The annual Christmas Open House at the History Center was held on Dec. 11. A few new visitors attended in addition to 36 of our members. Cookies, punch and mulled cider were served. Thanks to all who helped with refreshments. The following people have been docents this past year. Diana Lennon, Bob Barrett, Fran Sargent, Lois Frazier,; lone Radonich, Sherry Wood, Charley Blatchford, Ralph Carhart, Meg & Larry Smart, Billy Hinsey, RoseAnn Lamb, Gordon & JoAn Heidt. Thank you very much. We really appreciate your volunteering. Choose a 2nd Sunday of any month to be a decent. The History Center is in the Administration Building at the Fair Oaks Cemetery. The hours are 1:00 to 4:00 P.M.
Pete White, past-president, shares info with those at the FOHS Open House. The "ladies", with a big smile from Janet, enjoy the Open House and refreshments. Comments: This site was the General Store and first post office of Fair Oaks in 1865. 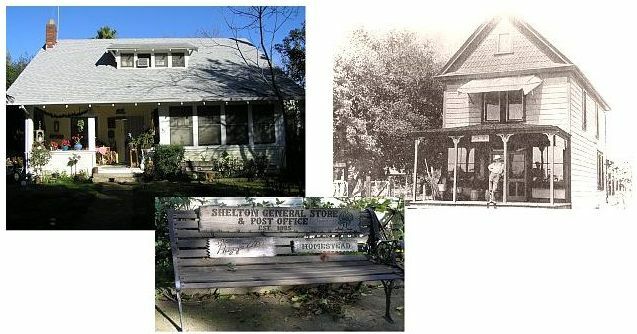 The building was destroyed and the present home was constructed in 1922. Early occupants are unknown other than Glen & Lois Wright who sold it to Larry and Dorothy Huggett in l965. The detached garage was the site of an early repair garage. The house sits on a ½ acre lot. It has 2 bedrooms and a bath upstairs and 1 bedroom and a bath downstairs. It also has a basement. The house has not been changed from its original structure. The Huggetts raised 4 sons in their home. Dorothy’s mother lived with them from September to May of each year for many years. The Huggetts have 8 grandchildren who frequently visited when they were small. At Easter, the bridal wreath hedge is in full bloom and worth the time to stop by to see. Dorothy will celebrate Larry's birthday this coming August as she does every five years, this year on a Sunday. All are welcome.